What keyboard can I use with Pianoteq? You can use any MIDI keyboard such as a digital piano or a synthesizer. To be able to play with detailed expression you need a keyboard with a good velocity sensitivity. Most stage keyboards and digital pianos have that, more or less. There is everything from light stage pianos with optional stand to heavy grand models with real grand piano action built in. 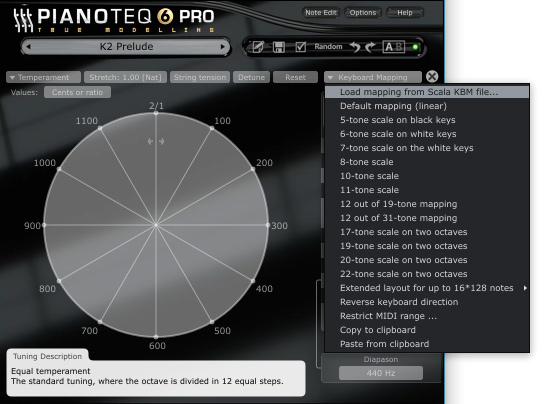 Useful advice on what keyboard to use can be found in the Pianoteq user forum and in the Piano World digital piano forum. How do I connect my keyboard to the computer? Connect a MIDI cable from the keyboard's MIDI OUT port to the sound card's MIDI IN. Recent keyboards can also be connected to the USB port. Older keyboards may need a MIDI to USB converter. You can find more information here: hookup diagrams. Do you recommend any specific pedal set for use with the keyboard? Digital pianos usually have a sufficient pedal set built in. Stage pianos usually need to be complemented with a pedal accessory kit, such as Yamaha FC-3A or Roland RPU-3. What kind of computer do I need to install Pianoteq on? You can use a modern laptop or a desktop computer, PC or Mac. See the hardware and software requirements below. How much RAM (internal memory) is needed for smooth playback? Just 256 MB (megabytes). Most modern computers are equipped with at least 4 GB (gigabytes) of RAM. In contrast to many other virtual pianos, there is no need to invest in any additional RAM sticks to achieve maximum performance. Do I need a dedicated disk drive? No. 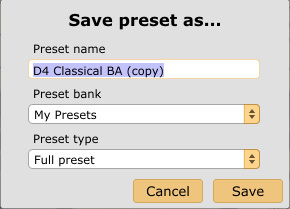 Since Pianoteq does not store any samples on the computer, there is no need to invest in a dedicated disk drive. Pianoteq occupies just 50 MB whereas other virtual pianos need to frequently access many sample files (usually several gigabytes) from a fast and stable disk drive. What kind of CPU (processor) do I need? By restricting the internal sample rate in the Options menu, you can work with less powerful CPU's. The Linux version in Pianoteq 6 lets you work with ARM RISC based CPU's used in smaller Linux based consumer electronic devices. In what situation does the CPU load get high? Many bass notes in combination with the sustain pedal require lots of computations for the CPU. Most modern CPUs can handle this fine. Do I need any specific soundcard? If using a PC, you need a soundcard that supports ASIO drivers (most soundcards do). You should be able to use the built-in soundcard on your computer. If you have high demands on the audio quality you should use a soundcard which is more adapted to music production. 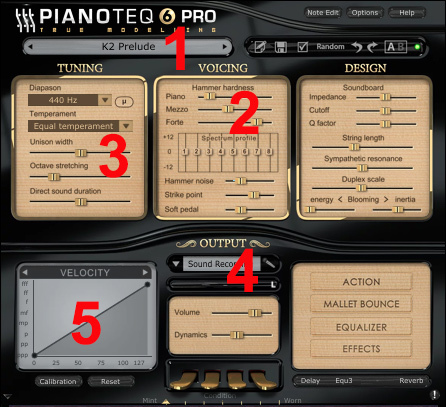 For suggestions on what soundcard to use, please visit the Pianoteq user forum. 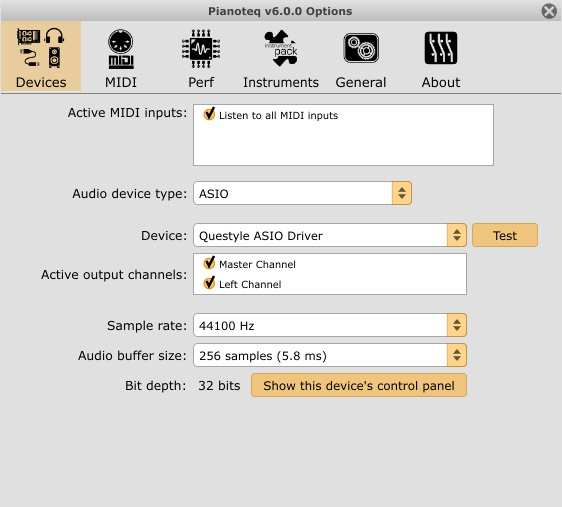 Can I really use Pianoteq with a laptop? This is one of the great advantages of Pianoteq. You can use any modern laptop successfully without any need to add external disk drives. The low system requirements and rock stable software make it optimal also for live performances. What if my computer has hardware issues with Pianoteq? Although we will help you out as much as we can, it is your own responsibility to check the recommended hardware/software requirements before purchase. By evaluating the trial version you will know if everything works fine for you.